Paul Cloke is Professor of Human Geography at the University of Exeter. His research interests are in social and cultural geographies of ethics, rurality, and nature, and he has published widely on issues relating to poverty, homelessness, and social marginalisation. Jon May is Professor of Geography at Queen Mary University of London. 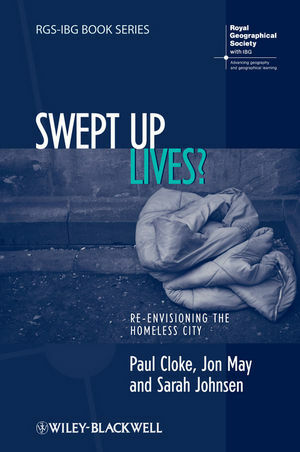 He has published extensively on the geographies of homelessness and is the co-author or co-editor of five books including, most recently, Global Cities at Work: New Migrant Divisions of Labour (2009). Sarah Johnsen is a Research Fellow at the Centre for Housing Policy, University of York. She has published widely in the field of homelessness and social policy.